The current recession may seem Darwinian in terms of its scale and merciless weeding out of job seekers struggling to survive. However, there is a second, contrasting sense in which a process of elimination is underway. The Darwinian rule of “survival of the fittest” is itself losing out to a competing principle: “elimination of the fit”—the elimination of the “fit”, not as the familiar process of a weeding out of an organism or job seeker, but as the elimination of environmental niche or job openingsthat normally would provide a good fit for a fish or job seeker, i.e., a “Type II Darwinian Recession”. This second, unconventional kind of Darwinian Recession represents a process of eliminating not the unfit or less fit job applicants, but of eliminating the job-environmental niches fit and suitable for them, which they would otherwise be filling. In other words, the disappearance of jobs is analogous to the disappearance of environmental niches to fill with competing (or cooperating) organisms qualified to occupy those niches, but unable to find any. The modern job hunter is like those among species of fish searching for vanishing coral in which to breed, feed, hunt and hide. By this analogy I mean to allude to the widespread shortage of suitable niches and job matches for obviously qualified candidates, forced, in many instances, into unemployment through no fault or shortcomings of their own. Fit candidates without a job opening that fits. “Survival of the Fittest”—a Hollow Phrase? The immediate and predictable retort to this is that Natural Selection selects the fittest, not the fit, and that, therefore, anyone who fails to get a job in competition with others is simply not among the fittest. From the standpoint of this line of argumentation, if the (job) niche openings dwindle or disappear entirely, that merely intensifies the usual competition, thereby raising the bar for each competitor—by forcing each to compete (or cooperate with kin, mates, castes, etc.) more fiercely for the customary niche or to find and adapt to a new one. To insist that job seekers who possess all the requirements of suitable employment except for the job itself are somehow not among the fittest is to commit this fallacy of mistaking a trivial, question-begging definition for a grand empirical and testable principle of natural order, presumably some testable hypothesis worthy of being called “the Principle of Natural Selection”. Does this mean that Darwin’s original principle of “survival of the fittest” was flawed in the same way—that like “A man gotta do what a man gotta do”, his version of the Principle of Natural Selection is completely uninformative, because it merely says “survival of the survivors”? Short answer: No. In the first place, the phrase “survival of the fittest” was coined by Herbert Spencer, an avid evolutionist, in 1864, six years after the publication of Darwin’s Origin of Species, not initially by Darwin. In the second place, there is an interpretation of what Darwin and Spencer (and Alfred Russel Wallace, with Darwin, a co-enunciator of Natural Selection) had in mind that is not a trivial “X is X” kind of tautology. When Darwin did subsequently mention it in a later edition of Origin of Species, it was only as a metaphor and not as a replacement or rival for Natural Selection. 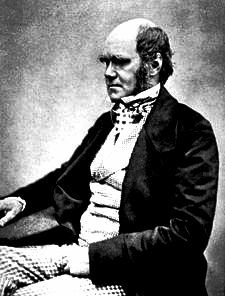 What Natural Selection should be understood to mean as a real law of nature and not a trivial definition is at least this: “Survival of those selected by some means other than through the ‘Will of God’”—the prevailing alternative explanation that permeated Victorian society in 1858, the year Darwin and Wallace jointly presented their research results that launched evolutionary theory. By specifying that the “fittest” were not “God’s Elect”, selected by Divine Whim or earthly “good works”, that instead they are selected by a competing process of over-reproduction relative to available food, territory, etc., and relentless competition (or, in some instances, cooperation) for those limited resources, mates, etc., Darwin enunciated a principle that is not the trivial “survival of the survivors”—a principle in principle testable in a way that the “God’s Elect” explanation is not and never will be. Moreover, from the standpoint of genetics the principle of Natural Selection and even “survival of the fittest” are not tautologies, if understood in this way: “Genotypic survival of the phenotypically fittest”, which, in simpler language, means “survival of the micro-level genes, through replication, of those with the best adapted macro-behavioral, structural, mental and functional traits”, where best adapted traits are those that result in the most efficient extraction of calories in the form of food, greatest frequency and success of mating attempts, defense against attack or infection, etc. From one perspective, even this version could be seen as a mere tautology, since the ultimate test of any one of these traits is whether it serves survival; however, by contrasting gene survival with survival of gene-based behaviors, processes and forms, the principle remains testable, since the survival of genes is not synonymous with behaviors, processes and forms that are based on them—much as the concept of a DNA-transmitting egg is not synonymous with that of a DNA-managed chicken. “Only the fittest survive in nature and in job markets”. “The fittest are those who get a job, preferably a job that fits”. The second thing to understand in contemplating and labeling the situation of the unemployed struggling to find jobs is that the disappearance of a niche—job or environmental—means the fit, understood as a (job) niche that is a good match, is less available, not that the qualifications for that niche are inadequate. True, if we are talking about literal survival and reproduction, the disappearance of an environmental or job niche will, over the long term, imperil and test species and individual survival. But, in the short term, the fitness possessed by job applicants or coral fish remains precisely that, contingent on a replenishment of their niches. Rather than smugly dismissing the unemployed as unfit, employers and government should strive to replenish the niches or at least help the unemployed find and adapt to new niches, like coral fish redirected to new survivable niches. Unless that happens, and as niches either dwindle or fail to increase with the numbers of struggling would-be niche occupiers, instead of Natural Selection of job seekers in a Darwinian recession of the first type, viz., a recession characterized by intensified competition for existing niches secured by the “fittest”, the job market may be come to be characterized as being in the grip of a Darwinian recession of the second type, viz., the disappearance or growth stagnation of niches and good fits for the otherwise numerous and fittest unemployed. When one thinks of the “end of natural selection”, the usual association is with the “purpose” of natural selection, if any were to exist, not with its demise. Yet, in the extreme and theoretical case, if all niches (or jobs) were to disappear, “survival of the fittest” as the operating principle of nature or a job market would grind to a complete halt, since there would be no niches for any to occupy—whether unfit, fit, fitter or fittest. Clearly, in that nightmarish circumstance in which there would be no jobs at all, would there be any comfort, other than verbal, to be found in declaring all the unemployed “unfit”, “less fit” or “not the fittest”? Were you to make such an elementary logical blunder, Darwin’s reaction—were he alive—would be predictable. He would have a fit.